Mark recently represented Digital Democracy at the Global Kids’ Virtual World Capacity Building Program, a four-week intensive exposure to virtual worlds for public good institutions. At the end of the program, each of the participants gave presentations at the Global Kids-hosted Fall 09 Roundtable on Virtual Worlds and Nonprofits on MacArthur Island in Second Life (surl teleport link). 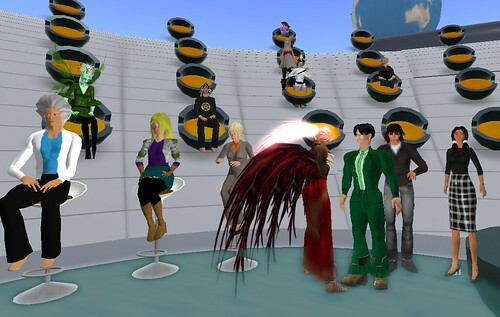 Representatives of five leading nonprofit organizations gave brief presentations on their initial explorations of Second Life and other virtual worlds, and how they are thinking of integrating these virtual tools into their organizations’ respective missions. Why investigate Second Life? New media literacy is critical to education in the 21st century. Is Second Life a tool that can be harnessed by educators? Read more of Mark’s thoughts on his blog.